Part Notes: Pedders replacement struts are an ideal alternative for the budget-conscious motorist who is simply looking to return his/her vehicle back to its original ride and handling qualities. 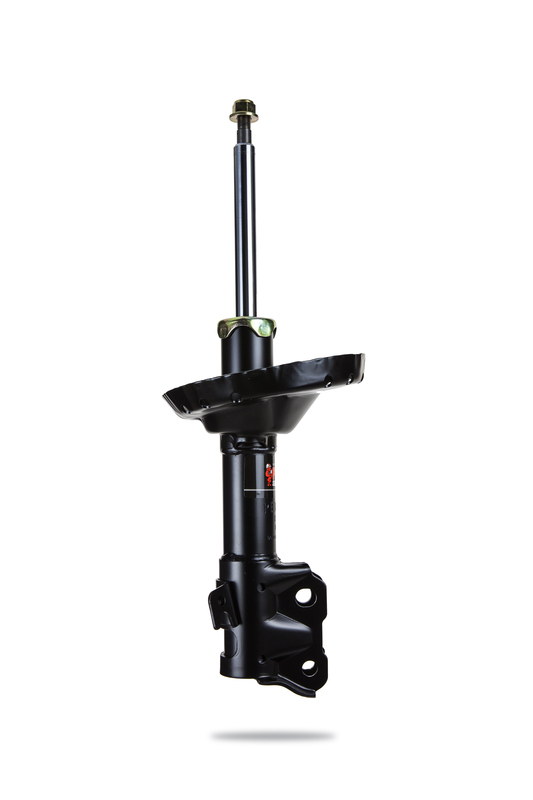 However; the additional features give our Pedders struts similar performance to premium quality gas shock absorbers at a more affordable price. The Pedders story began in Australia back in the 1950’s. The organization was established by Roy Pedder as a die-cast welding service in Hawthorne Road. Pedder utilized his skills as an ex-RAAF WW2 plane welder to fix and restore general household items. Roy Pedder soon found his niche in the repair and reconditioning of shock absorbers. Bad Australian roads and weak lever-type shock absorbers were the primary factors for the growth of the Pedders name in the mid-1950’s. It is only natural for Pedders Suspension to transition from reconditioning shock absorbers to manufacturing the highest quality dampers, springs, and coilover kits for a wide variety of car brands such as Ford, Holden, Toyota, Mitsubishi, Nissan, Subaru, Mazda, and Honda vehicles. Pedders Suspension offers OEM-quality replacement springs, shock absorbers, suspension bushes, steering, and chassis parts. The brand is also home to high-quality suspension, braking, steering, and chassis upgrades. Best of all, the Pedders name is synonymous with 4x4 upgrades and performance parts such as 4WD air bag kits, 4WD suspension, and 4WD upgrade kits. But if you demand unparalleled control and handling for your high-performance vehicle, the Pedders SportsRyder eXtreme XA Adjustable Coilovers are a solid choice. Adjustable coilovers are more versatile than lowering springs since you can adjust the ride height and damping characteristics of the suspension system without lifting the vehicle. For the budget-minded car owner, a lowering strut assembly or lowering springs will improve the stance and handling of your vehicle without emptying your bank account. Sam’s Motorsports carries an extensive array of Pedders Suspension components at more affordable prices. 2008-2010 Subaru Impreza Pedders Suspension Sealed Struts, The Pedders Suspension Sealed Struts is designed specifically to fit your 2008-2010 Subaru Impreza without any modification to your beloved Subaru Impreza. If this Pedders Suspension Sealed Struts is not exactly what you are looking for to accessories your 2008-2010 Subaru Impreza, please don't give up just yet. Our catalog has huge variety of parts and accessories for your Subaru Impreza.